The new featured community campaign for PC players is Detour Ahead. This 5 map campaign offers Co-op and Versus gameplay. While the explosion in the finale will light the night sky, it's the train bridge you will remember. To play, first make sure you have the Left 4 Dead 2 Add-on support downloaded in the tools tab of the Steam library. Choose to play online and any available game/lobby in your area will show up. 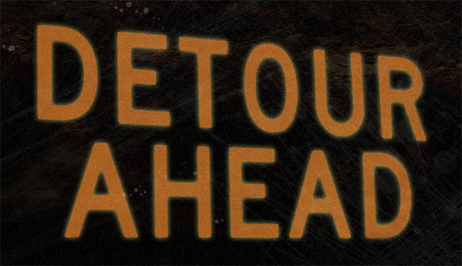 Or you can create your own game and choose addons and select Detour Ahead for the campaign. If you missed the news, we announced new DLC for Left 4 Dead 1 and Left 4 Dead 2. 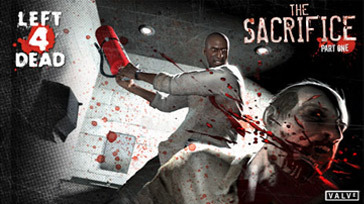 It will be coming out in October and Left 4 Dead 1 and 2 will both be getting the brand new campaign, "The Sacrifice." This will give you a chance to play out the events before "The Passing" using the Left 4 Dead 1 characters. In addition to "The Sacrifice" Left 4 Dead 2 will also be receiving the "No Mercy" campaign. With official inclusion of Left 4 Dead assets, we will be able to simplify the steps for playing community content in the future. Until then, you will need to make sure you download the Left 4 Dead 2 Addon Support. Do you think you are pro? Hate playing Versus against newbs? Time to put up or shut up with CEVO launching a brand new Left 4 Dead 2 Tournament. The CEVO tournament will be running the latest Confogl configuration. Visit their site for more information. 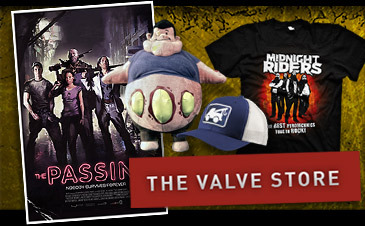 Arsenio, who runs our Valve store is promising Boomer plushies to the winning team. I think we need to bug him to come up with more than that... Arsenio? We will have more news in the coming weeks on the DLC including a rockingly brand new contest next week and more news on the comic coming out this September. It's a good time to be a zombie killer.